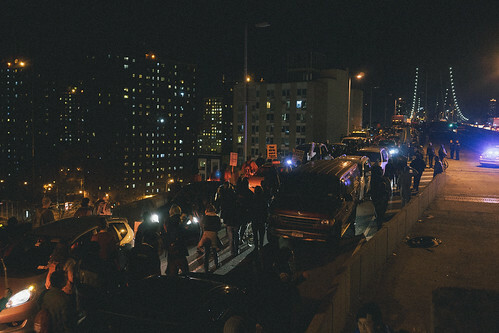 A day after protesters blocked the Manhattan and Triborough Bridges, demonstrators once again took to the streets — this time in far greater numbers — to protest a grand jury’s decision not to charge Darren Wilson. This Skateboard Shaped Like the New Museum Looks Sick, But Can It Shred? A house of stacked boxes that teeters upwards from the Bowery, the New Museum’s silhouette doesn’t seem like apt inspiration for a skateboard. But that hasn’t stopped the museum — last seen hawking Bowery-scented air fresheners — from teaming up with Chapman to create a limited edition deck in the shape of its iconic Sejima + Nishizawa/SANAA-designed building.